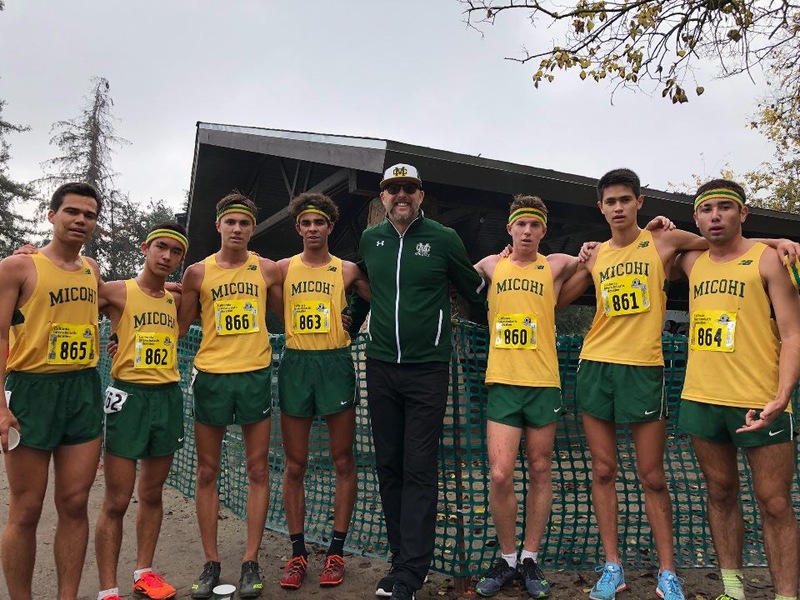 MCXC is headed to the State Meet! 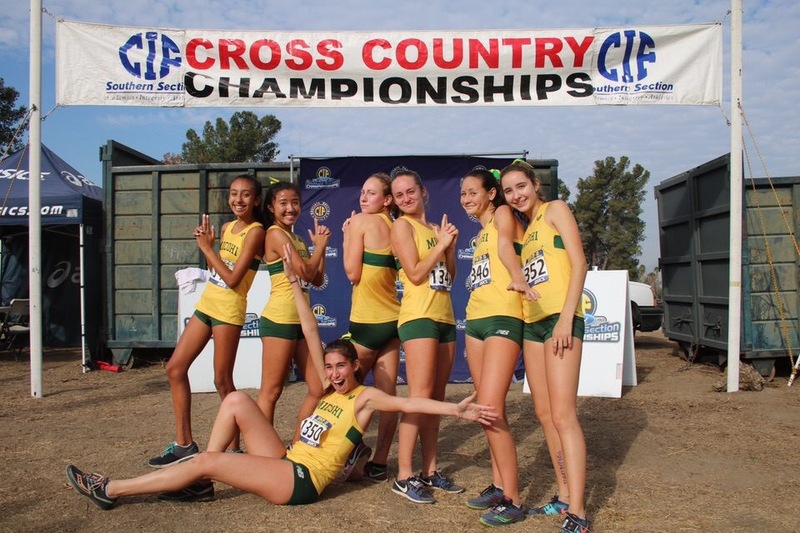 Congrats to both teams on qualifying for the 2018 CIF State Cross Country Championship! 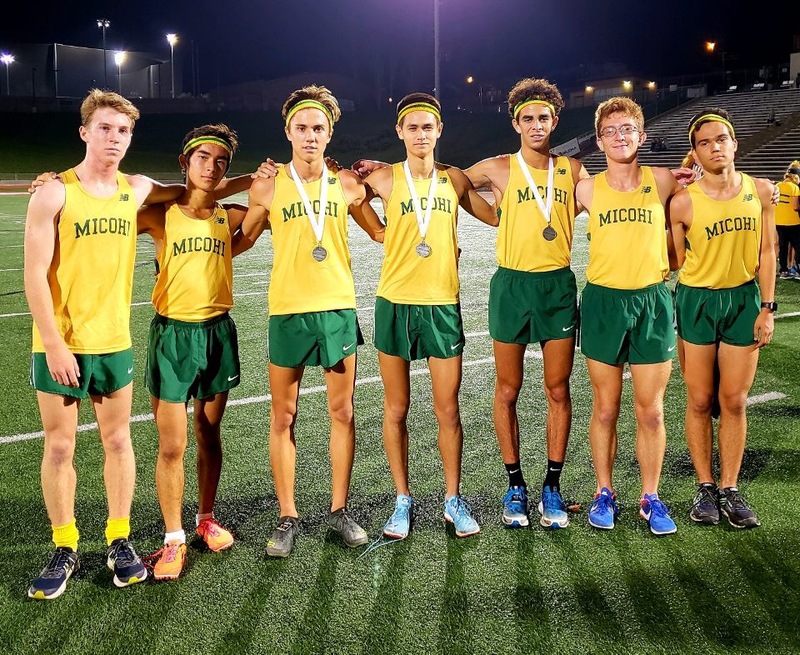 The boys team placed 6th as a team, with Cy Chittenden leading the way in 8th place, followed by Cole Gamble in 23rd, Cormac Carew in 47th, JP Soares in 84th, Alex Fiorito in 105th, Thomas Velvin in 107th and Aidan Velleca in 162nd. 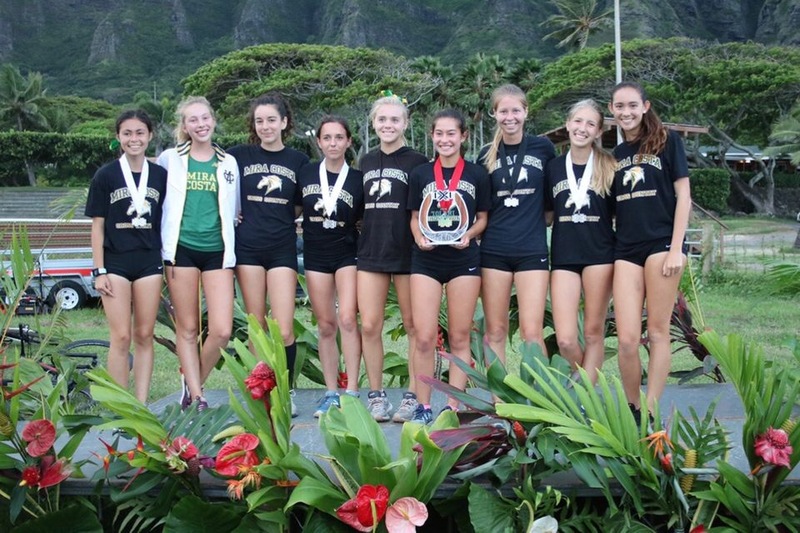 The girls team placed 3rd as at team, led by Dalia Frias in 12th, Lucy Atkinson in 28th, Brooke Inouye in 35th, Carmen Mel in 58th, Cara Chittenden in 64th, Pnina Tofler in 69th and Olivia Hacohen in 71st. 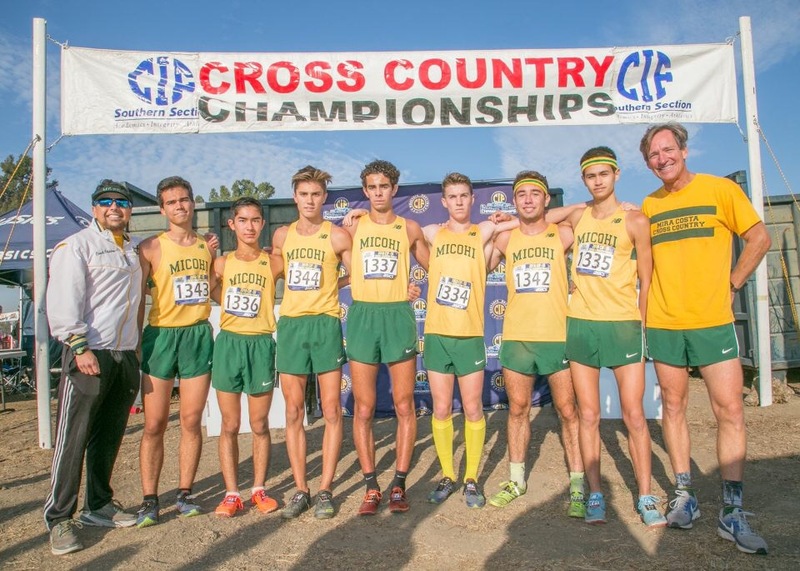 Congratulations to both teams on advancing to CIF Finals next Saturday, Nov 17th! Dalia Frias and Cy Chittenden both individually won their heats and the girls’ team won their heat as well! 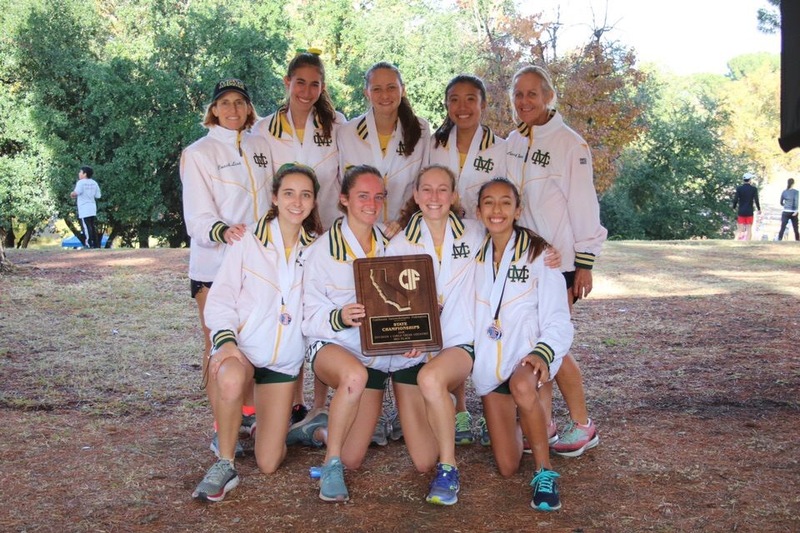 Next week the teams race for a berth at the State Meet in Fresno. 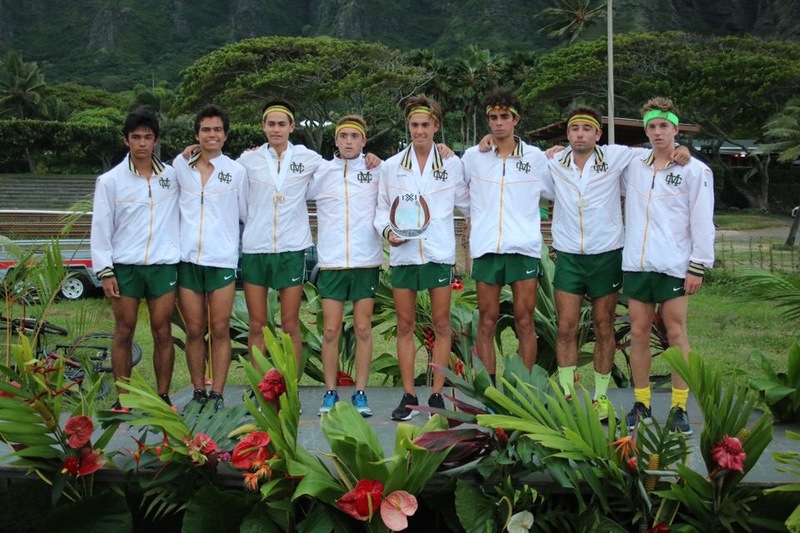 In order to qualify for the State Meet our teams need to place in the top 7. 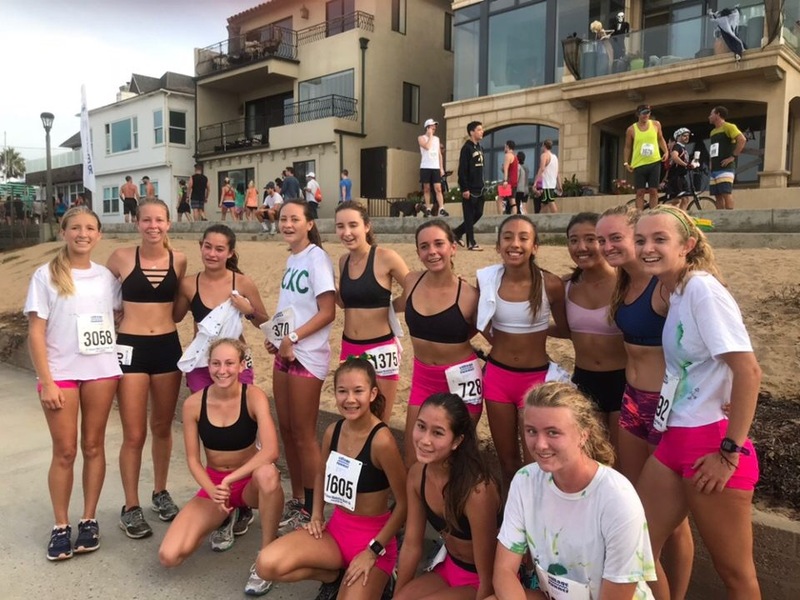 A maximum of five individual finishers who are not members of qualifying teams and who finish in the first twenty places in their respective divisions, will also advance to the State Championships. 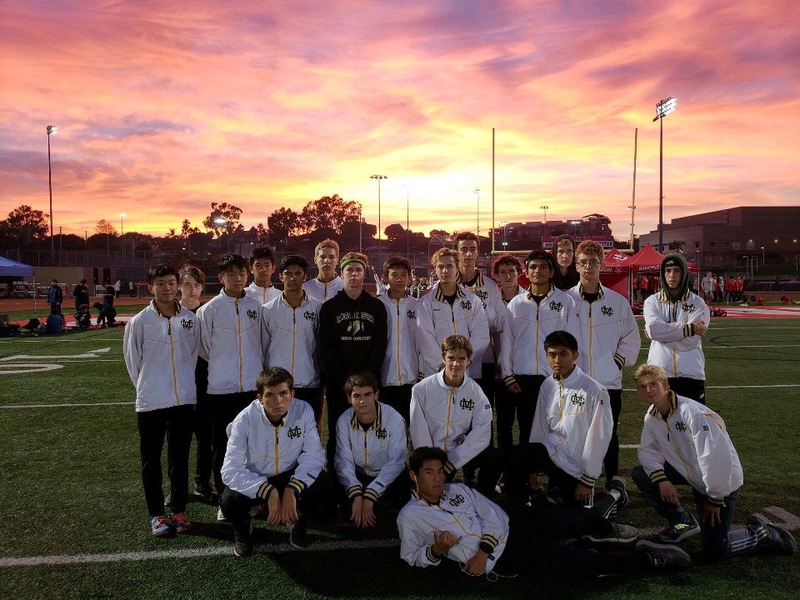 Congratulations to our 2018 Bay League Champions! 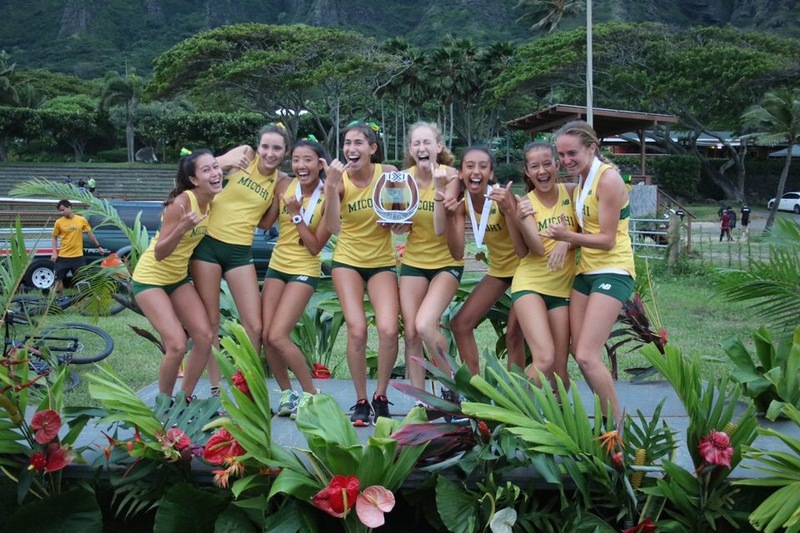 led by individual champion Dalia Frias, Lucy Atkinson in 3rd, Brooke Inouye just a second behind in 4th despite losing a shoe early in the race!, Pnina Tofler and Piper Newton closing well in 7th and 9th place. 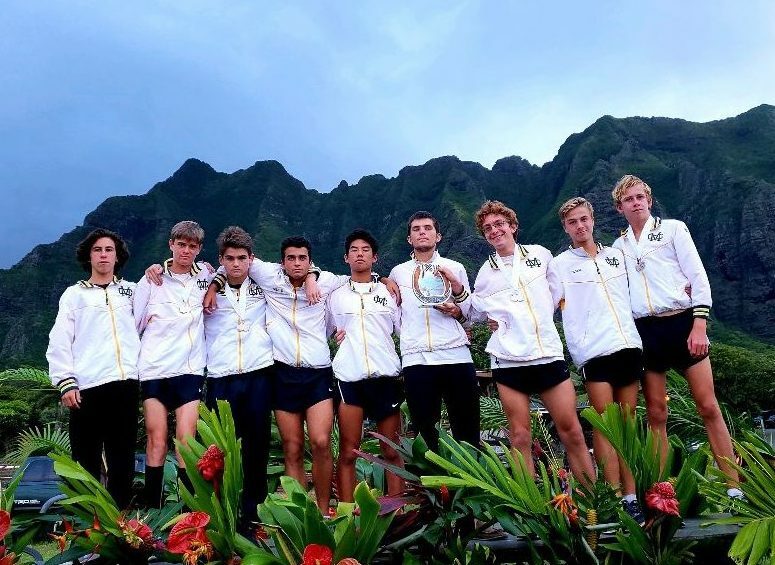 Varsity Boys Team takes 2nd Place led by individual champion Cy Chittenden, Cole Gamble in 6th, Thomas Velvin in 9th, Cormac Carew in 11th and Alex Fiorito in 17th place. JV Boys Bay League Team Champions led by Will Garrell in 2nd, JP Soares in 3rd, Blake Hampton in 8th, Caleb Hong in 9th and Will Beck in 14th place. 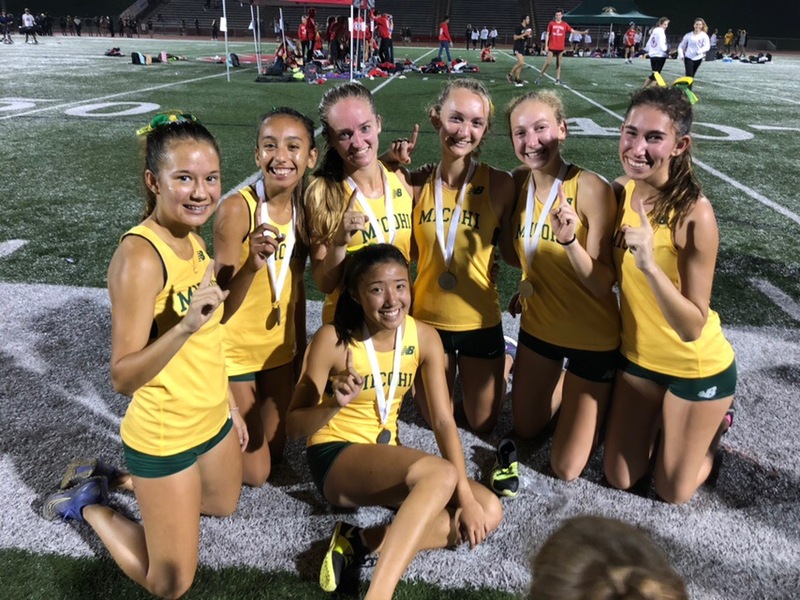 JV Girls Bay League Team Champs led by individual champion Carmen Mel, Cara Chittenden in 2nd, Tia Pappas in 4th, Ally Doyle in 5th, Cassidy George in 7th and teammate Julia Vazquez barely a hair behind in 8th. 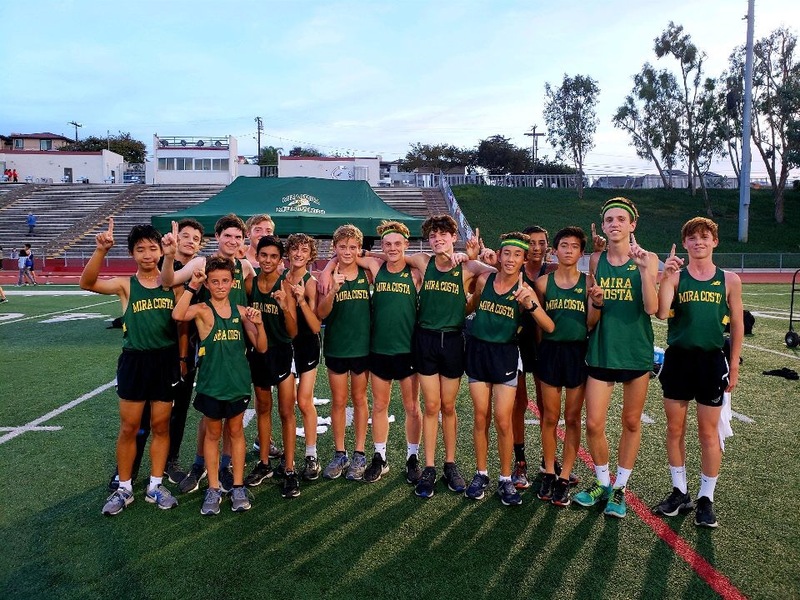 Freshmen Boys Bay League Team Champions led by individual champion Nolan Parker, Seamus O’Meara in 2nd, Hatcher Johnson in 6th, Harrison Sanders in 9th, and Siguard Thune in 12th. 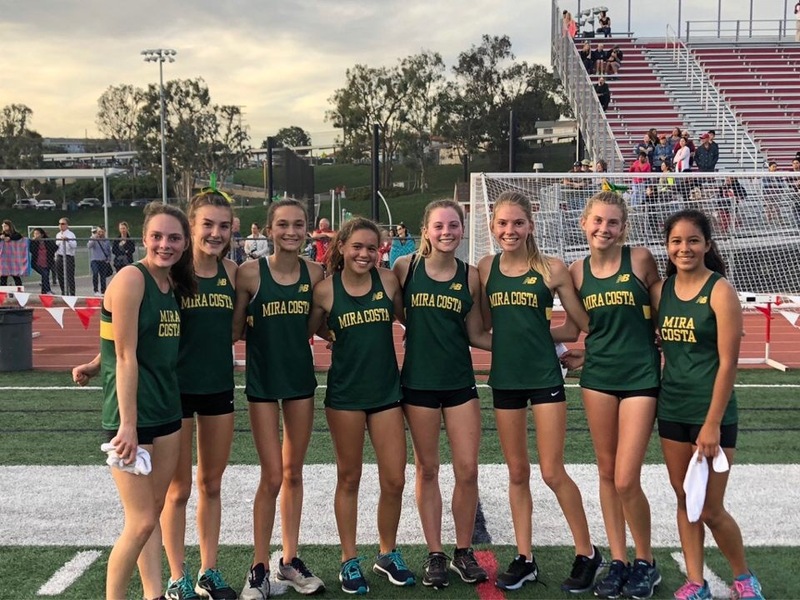 Freshmen Girls team takes 2nd place led by Kayla Kershaw in 2nd, Lucca Franz in 4th, Marissa Andrade in 9th, Sarah Mcdonald in 11th, and Anna Iantuono in 13th. Race 63 Girls Sophomore 1st place team finish led by Cassidy George in 3rd place! 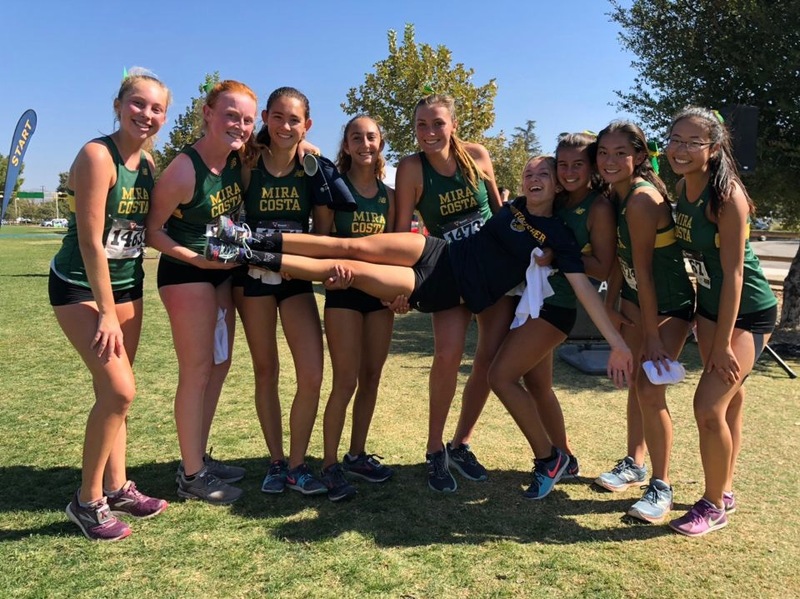 We had stand out individual performances across the board with Piper Netwon winning the JV Girls race, Cy Chittenden placing 3rd in the Varsity Boys race, Will Beck placing 3rd in the Frosh/Soph Boys race, Greg Moore and Oliver Michelsen placing 4th & 5th in the Boys JV race, Brooke Inouye and Dalia Frias placing 5th & 6th in the Girls Varsity race, and Amanda Murch, Julia Vazquez, Lauren Chiu, and Sofia Cervantes placing 3rd-6th in the Frosh/Soph Girls race. Congrats to our Girls Frosh/Soph and Boys JV teams on their first place team finishes! !